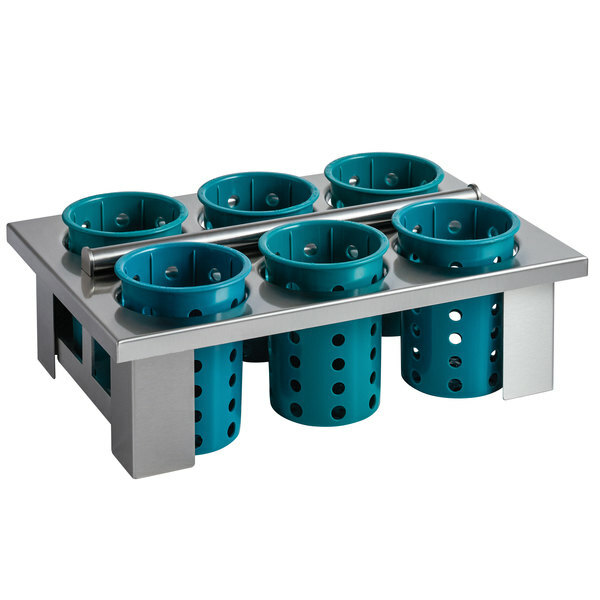 This Steril-Sil E1-BS60E-HUNTER green drop-in silverware cylinder holder with 6 cylinders is the perfect solution to your countertop dispensing needs! Use this drop-in cylinder holder to give your guests all of the silverware that they need to enjoy your signature entrees and desserts. It drops in to an E1 series dispenser to accent a streamlined, clean-looking dispenser system. Made of welded type 304 stainless steel, this cylinder basket is strong and durable enough to last for many years to come. 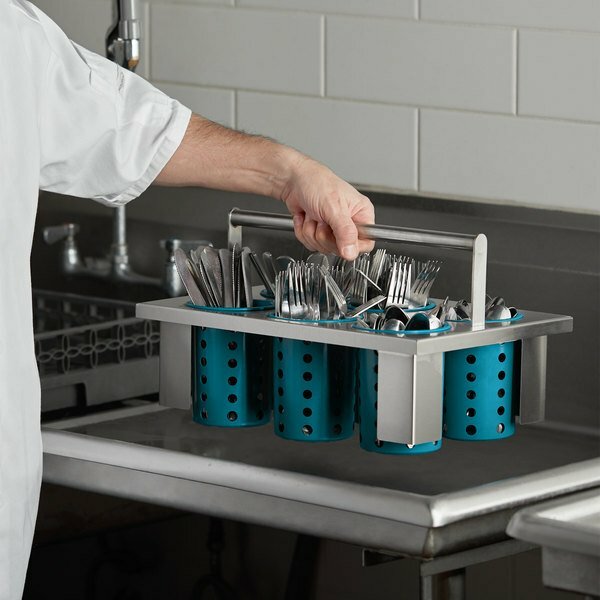 The drop-down handle falls flat for easy dispensing and lifts up for easy transport. 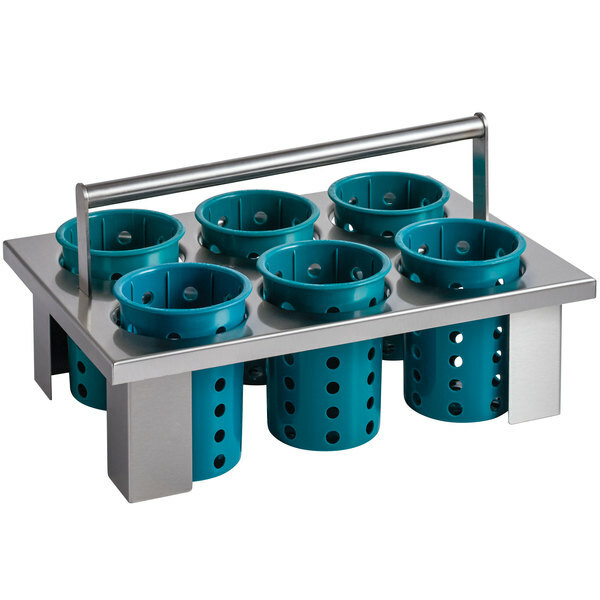 This cylinder holder has six cutouts to hold Steril-Sil RP-25 hunter green plastic silverware cylinders (included). 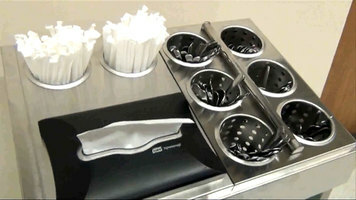 Silverware can be washed, stored, and dispensed all from this basket. It is perfect for back-of-house use or at self-service stations.